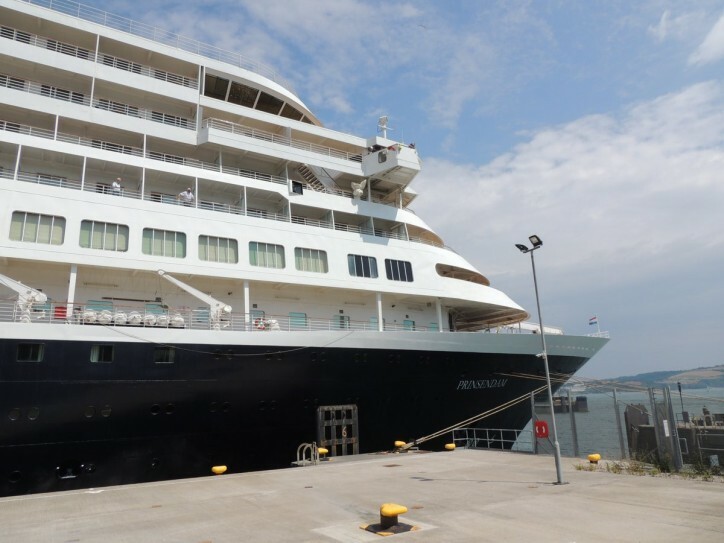 The Port of Plymouth has welcomed MS Prinsendam (see more about the ship at CruiseMapper) also known as the ‘Elegant Explorer’, on a beautiful summer’s day, as one of the stops on the vessel’s tour around the British Isles. Currently operated by Holland America Line, a Seattle-based cruise company, the 835 – passenger cruise ship has had a long career at sea. Having debuted in 1988, the ‘Elegant Explorer’ has sailed on numerous long range, exotic itineraries, including world voyages and several grand voyages, lasting up to 73 days, to destinations including Antarctica, the Mediterranean Sea and the Black Sea. Alex Chinchen, ABP Divisional Port Manager, said: “We were proud to welcome this intrepid cruise ship and its passengers to our port and city, which has a growing reputation as a premier UK holiday destination. Plymouth has a long and proud maritime history and some great sights to visit.